June 10th, 2013 | Wheaton World Wide Moving. This week we are kicking off a multi-part series of articles to recommend consumer-friendly Web sites about moving. These Web sites are meant to protect and assist consumers as they navigate the sometimes confusing world of household moving. We polled some of our best Wheaton agents to find out what Web sites have the best information and that customers can trust. Our first editor’s recommendation is ProtectYourMove.gov. This Web site is created and managed by the Federal Motor Carrier Safety Administration, a division of the U.S. Department of Transportation. It contains a wealth of information designed to protect consumers from being scammed by moving brokers or moving companies during the moving process. A Red Flags of Moving Fraud checklist that outlines the things you should research about a mover before hiring them. If these things don’t check out, time to find a new mover. 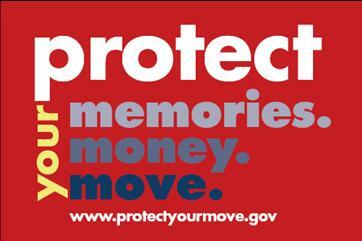 Go to ProtectYourMove.gov before you hire a mover and make sure you don’t get scammed. Stay tuned for our next super great editor’s pick Web site that will help make your move a whole lot easier.